When Mr. George Vanderbilt  takes his young wife to Biltmore, in North Carolina , he will establish his bride in a more splendid home than any American ever did before. Mr. Vanderbilt's place in the mountains is not only the most magnificent country seat in the United States, but it is one of the grandest in all the world. Mr. Vanderbilt was married in Paris on Wednesday to Miss Edith Dresser , a New York woman of aristocratic lineage, great wealth, and fine physical proportions. The Dresser family is noted for the great size of its members. Mrs. Vanderbilt is only half an inch below full six feet in her low-heeled walking shoes, and yet she is one of the shortest members of her family. Two of her sisters who are married fairly and squarely reach the six-foot mark when they stand without the aid of any artificial heels, while her brother towers four inches and a half above these stately women. For a number of years Mrs. Vanderbilt has lived with her eldest and unmarried sister, Miss Susan Dresser , in Paris, and there, because of her unusual height, her handsome face, and her perfect French accent, she is as well known to the fashionable Parisian as that equally tall and beautiful Englishwoman, Lady de Gray . Society in the gay capital fairly hums with delight and interest in this most brilliant match of the season, with curiosity to witness the wedding, and with fanciful stories as to the first meeting between Mr. Vanderbilt and his future wife. As a matter of rather unromantic fact, this quiet gentleman has known Miss Dresser a number of years. She was always one of the chosen friends of his niece, Miss Sheppard , and in his sister's house he saw her frequently. It was not, however, until last summer, when Miss Pauline Dresser's marriage to Rev. Grenville Merrill  was celebrated at Newport, that anything like a romantic coloring was given to the friendship long existing between the two. When Miss Edith Dresser went over from Paris to attend the Newport wedding Mr. Vanderbilt was traveling in Europe; but, with the devotion of a lover, sailed all the way to New York in order to gain permission to recross the ocean in Miss Dresser's company. It was on the way back to France that a happy understanding was arrived at, and since then the mutual distaste of the pair for notoriety induced them to keep their secret as long as possible. Those who know the tall sisters have smiled appreciatively when the story of the ocean courtship became known, for in the circle of their friends it is a well recognized fact that at sea the Misses Dresser have been all but irresistible. It was Miss Natalie Dresser  who, on an ocean greyhound met her future husband, the youngest of the two wealthy Brown brothers. These young men fell heir each to six million at the death of their father, and the brother, who, among his friends, was affectionately known as "Little Six," went the way of the average small man and laid his heart and hand and fortune at the feet of the tallest beauty he had ever seen. The second sister, Pauline, has likewise wedded a man whose inches fell far short of her own, and yet it has been undeniably beauty of face and character, their accomplishments and exceedingly gracious, graceful bearing that have won for these sisters so much admiration in whatever society they have appeared. Mrs. Vanderbilt is slender, with luxuriant waving brown hair, dark hazel eyes, a clear rosy skin and bold, irregular features. There is not an outdoor sport, from casting for salmon to driving a four-in-hand, in which she does not excel. Three languages besides her own she speaks fluently, yet her keenest delight is in flowers. It is no secret among her friends that the flowers at Biltmore, the huge gardens, and the famous terraces of mezzo tinted rhododendrons, will induce her to spend the greater portion of every year in her husband's North Carolina home. Parisian society was grieved to the heart when it learned how small a group of guests, and those chiefly members of the Vanderbilt and Dresser families, had been invited to the wedding at the American church; but verily the Parisian tradesman will bear no ill-will toward the happy couple. The jewels that Mr. Vanderbilt has given his bride were nearly all bought unset in London, but handed over to the French goldsmiths for appropriate arrangement, and the English agent to whom was given the order to collect the jewels bought the most gorgeous sapphires of the collection in Spain. Since war with the United States has been declared , the poverty, not only of Spanish nobility but of Spanish royalty, has forced the private sale of heirlooms dating from the reign of Isabella, Columbus's patroness. By this circumstance the London dealers in jewels have profited, and the spoils of Spanish misrule are destined to glare on the throat and arms of fair Americans. In Paris as well the various Vanderbilt relatives went shopping for their wedding gifts, and there the bride's trousseau was prepared. The wedding dress was a rather simple gown of white embroidered faille. The train hung from the shoulders and the veil was of lace, a gift from Mrs. Cornelius Vanderbilt . A deal of interest centered in the engagement ring, which the friends of the happy pair comfortably concluded would be a uniquely gorgeous single jewel; something calculated to make even the Koh-i-Noor  rather envious. In realty this betrothal circlet was nothing more or less than a peculiarly perfect Roman intaglio . It is a small, antique, but exquisite cutting, on a rather pale sapphire, of a little Love, crowned with roses and rising triumphant, his head thrown back in gleeful laughter, the arrow having apparently just sped, true to its aim, from the relaxed bow string. In a circlet of small white diamonds the carved sapphire is set and the finger band and crown that hold the ornament are also of dull, antique gold that is very pure and worked in quaint patterns. 1. George Washington Vanderbilt III (1862-1914) was a grandson of the famous railroad tycoon Cornelius "Commodore" Vanderbilt. George was a voracious collector of art and books. He inherited millions from his father and grandfather, and in the late 1880s, when he was still in his twenties, he commissioned the construction of Biltmore House, his famous estate in North Carolina. He married Edith Dresser in 1898 and had one daughter, Cornelia. George died after having an appendectomy in 1914. He was only 51. 2. Biltmore House, the largest privately-owned home in America, was built near Asheville, North Carolina, between 1889 and 1896. George Washington Vanderbilt commissioned architect Richard Morris Hunt to design the magnificent country house to resemble a French chateau. Today, the estate is owned by the Biltmore Company, which is run by Vanderbilt's great-grandchildren. The house has been open to the public since the 1930s, and today it is one of the biggest tourist attractions in North Carolina. 3. 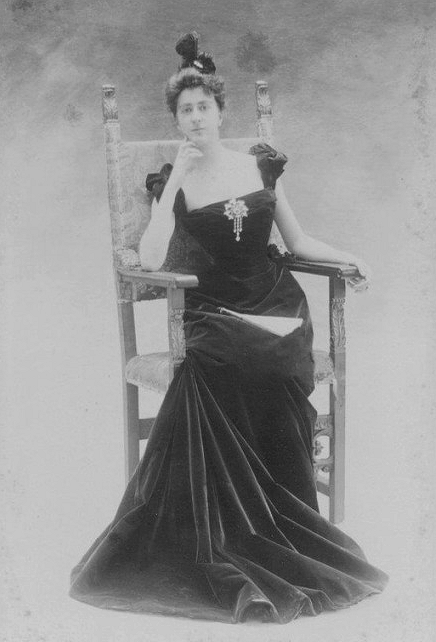 Edith Stuyvesant Dresser (1873-1958) married George W. Vanderbilt in Paris in June 1898. She was the daughter of George Dresser and Susan LeRoy, who both died of cancer when Edith was only ten. She became known in society as part of the quartet of "Dresser Girls." Edith's only child, Cornelia Vanderbilt, was born at Biltmore House in 1900. After George's death, Edith inherited his estate; she gave the federal government a significant amount of land, which now makes up part of the Pisgah National Forest. 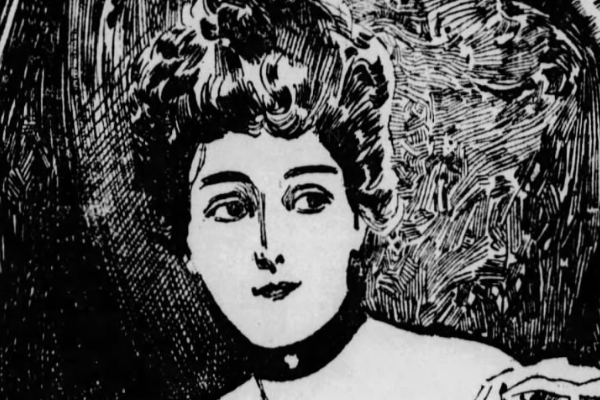 She later married Peter Goelet Gerry, who served as a U.S. Senator from Rhode Island. She died in Providence at the age of 85. 4. Susan LeRoy Dresser (1864-1960) was Edith Dresser's eldest sister. A year after George and Edith's wedding, Susan married the Viscount d'Osmoy at the Church of St. Philippe de Roule in Paris. 5. Constance Gwladys Robinson, Lady de Grey (1859-1917), later Marchioness of Ripon, was a major figure in the world of the arts. She was a great friend of Oscar Wilde and a patron and champion of the Royal Opera House in Covent Garden. 6. Alice Louise Shepard (1874-1950) was the youngest daughter of George W. Vanderbilt's eldest sister, Margaret Louisa Vanderbilt, and her husband, Elliot Fitch Shepard. Alice, an important linguist who co-founded the International Auxiliary Language Association in 1924, married Dave Hennen Morris, an American diplomat, in 1895. 7. Pauline Georgina Dresser (1876-1975) was Edith Dresser's younger sister. She married the Reverend George Grenville Merrill in Newport in 1897. 8. Natalie Bayard Dresser (1869-1950) was the second-eldest of the Dresser Girls. In 1897, she married John Nicholas Brown, grandson of the namesake of Brown University, in Newport. He died three years later, leaving a vast fortune to their only son, John Nicholas Brown II. 9. The Spanish-American War was fought between April and August of 1898 between Spain and the United States. The conflict was resolved with the Treaty of Paris in December 1898. The war lasted only ten weeks, but it resulted in the transfer of the Philippines, Guam, and Puerto Rico into American hands. 10. 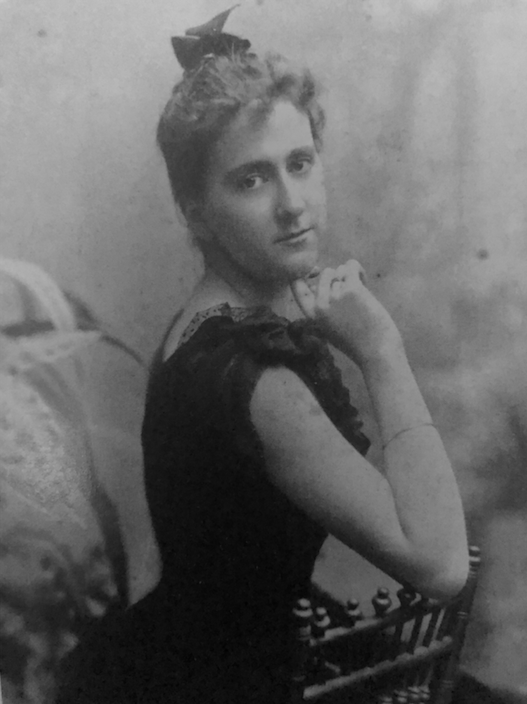 Alice Claypoole Gwynne (1845-1934) was the wife of Cornelius Vanderbilt II and the matriarch of the Vanderbilt family for decades. 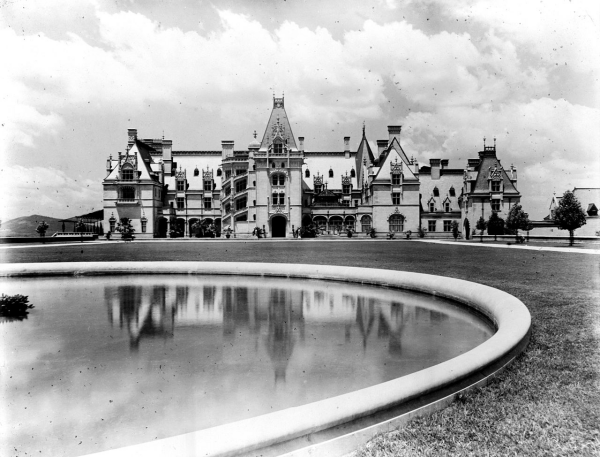 Cornelius and Alice famously built The Breakers, one of the most extravagant summer "cottages" in Newport. 11. The Koh-i-Noor Diamond is currently set in the British crown jewels. Here's a link to my review of one of the most recent books about the controversial gem. 12. In jewelry terms, an intaglio is a design carved into the surface of a gemstone. It is the opposite of a cameo, where the design is carved in relief.